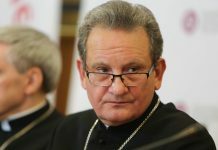 The Jubilee 25th Catholic Publishers Fair, which will take place from April 4 to 7 in the Kubicki Arcades at the Royal Castle in Warsaw, will host 170 exhibitors from Poland and abroad who will present over 12,000 publications. Last year’s edition was visited by 35,000 visitors. The motto of this year’s Fair: “The Spirit who strengthens love; in the power of God’s spirit”, refers to the pastoral year in the Church in Poland. This year’s Jubilee Fair marks the 100th anniversary of the Polish Bishops’ Conference and the 100th anniversary of re-establishing diplomatic relations between Poland and the Holy See, as well as the 100th anniversary of the Polish Military Ordinariate and the 40th anniversary of the first visit of St. John Paul II to Poland. On the occasion of the 40th anniversary of the first pilgrimage of St. Pope John Paul II to Poland, there will be many events focusing on the person and pontificate of the Polish Pope. On April 4, the first volume of Karol Wojtyła’s literary and theatrical works will be presented. The presentation will be attended by the Metropolitan of Warsaw Cardinal Kazimierz Nycz, Chairman of the Scientific Committee of the Critical Project for the Publishing of Literary Works of Karol Wojtyła. 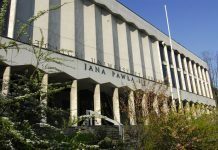 On April 5, in the Royal Castle Concert Hall, there will be a discussion about the already published volumes of “Pro Memoria – Primate Stefan Wyszyński’s notes” and the publication of “Primate Wyszyński in the light of new archival sources”. The culmination of the Fair will be the gala, during which the Catholic Publishers’ Association Award FENIKS 2019 will be awarded. Over 350 titles have been submitted to this year’s edition. The gala will be held on Saturday at the Field Cathedral of the Polish Army in Warsaw. On Sunday at 1 p.m., the Holy Mass will take place, presided by the apostolic nuncio to Poland Archbishop Salvatore Pennacchio, in the Cathedral of St. Michael the Archangel and St. Florian.